In 1989 we were asked to record a Christmas CD for the Brewhouse Label and until that point we'd not considered making a seasonal CD. So we all had our favourite carols and wassails and in three fevered days in March 1990 we recorded twenty-some tracks for the album that became 'The Season of Holly and Ivy' (now deleted). Having got a christmas CD we decided we should do a few concerts to sell it, so Eric from Brewhouse arranged a launch concert in the Chapter House of Lincoln Cathedral (what a buzz!) and Jacey arranged a few December folk club dates. Luckily only a few because that wasthe year of the consecutive flu (as opposed to executive flu) and the three of us spent three weeks staring at the wall moaning - only unfortunately Jacey spent week one in her sick bed, Brian week two and Hilary week three. Disaster. 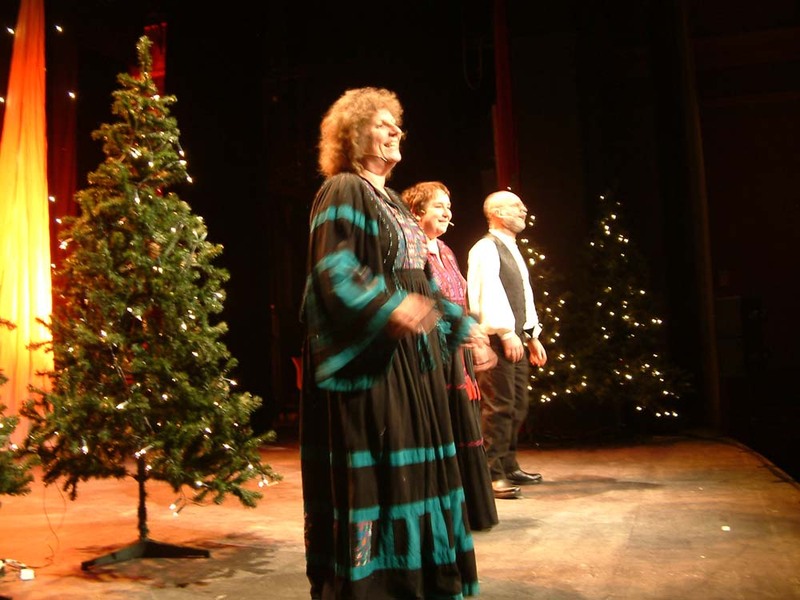 But we managed to do a few shows which sounded more like carol concerts than what was to become the Artisan Christmas Show and evolve into the very silly 'Stuff the Turkey' show. 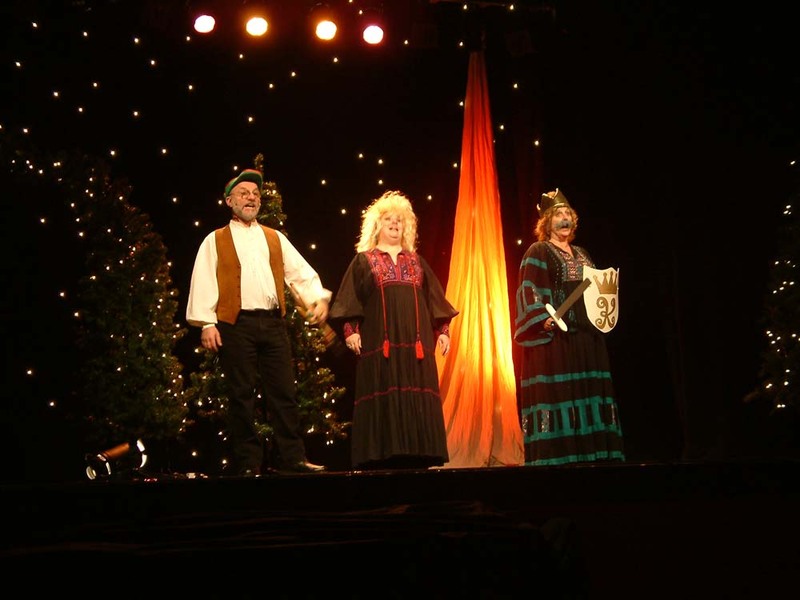 So the following year we planned early and the first real Christmas Show tour took place. 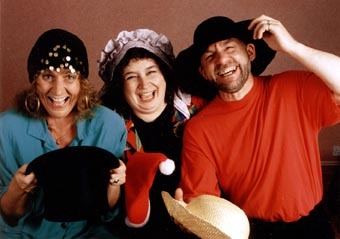 Mostly we played folk clubs, cramming ourselves in to tiny spaces with a box of silly hats and some seasonal songs which by now had expanded to incloude non-traditional songs like Tom Lehrer's Christmas Carol and Flanders and Swann's The Wassail of Figgy Duff. Yay for us, in 1991 and in all subsequent years, we were prepared and got our flu shots in October. December may have been plagues by the occasional headcold, but no one ended up with honest-to-goodness can't-move-from-the-bed influenza. 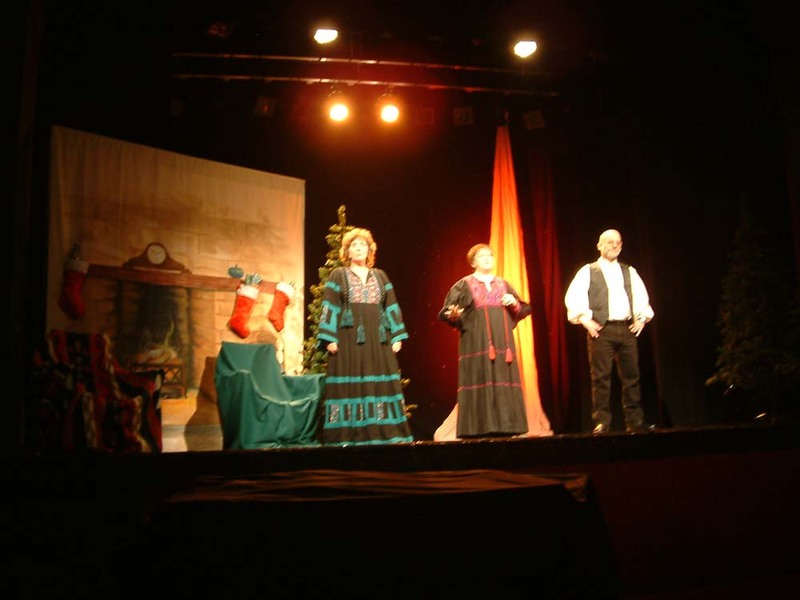 Included in the show (along with the awful jokes) was a one-act playlet called Willie Conker's Windfall, a mock-Victorian melodrama with seven characters played by the three of us and lots of hats, changing parts quickly and gabbling the whole thing in rhyming couplets. Hilary played Gertie the mad gypsy, Lizzir Barraclough and Baron Hunchbuttock the villain.Brian was Zebediah Barraclough and also Lizzie the heroine (shared with Hilary) and Jacey managed to play Maggie, Humphrey Hunchbuttock and Willie Conker the hero. It contained immortal lines like: By gum did you hear what she said? I'd better just get busy / If I can dig that treasure up I'll go and rescue Lizzy / I'll try just here, behind this rock, I'll work with my big muscles / And if there's nowt here ground looks alright for plantin a few brussels. 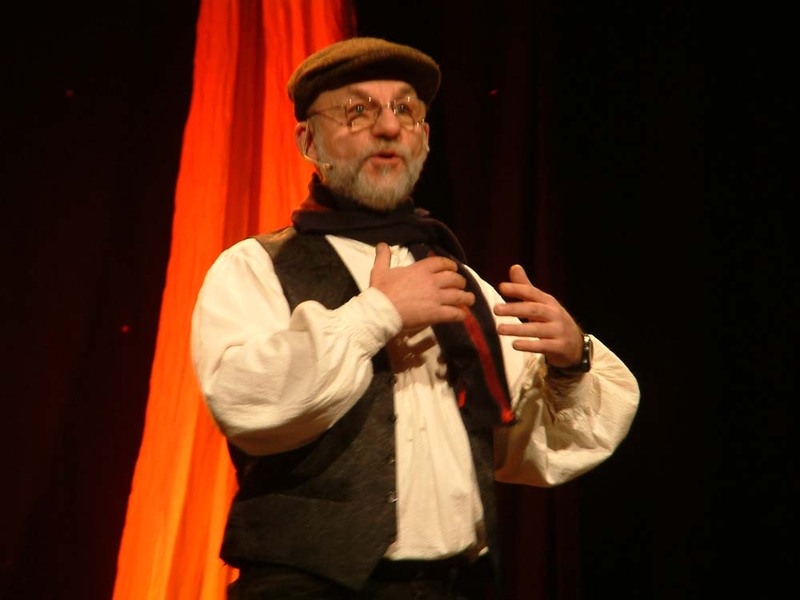 Willie Conker stayed with us for several years until we figured we needed a change and that's when Jacey started to write minipantomimes, starting with 'The Wrong Fairy Godmother' our version of Cinderella which saw Cinderella call up Sleeping Beauty's fairy godmother by mistake. The Prince married the Ugly sister (there was only one because of downsizing) and Cinders got the man she always should have married - Buttons (or in this case - predictably - Press Stud. After that we did three different versions of Babe in the Wood which morphed into Babe - Pig in the Forest (in which Jacey got to wear the pignose as a princess enchanted, Brian got to play Robin Hood and Hilary the king, complete with false moustache that went walkabout all over her face every night (always some different calamilty and we didn't plan 'em all, honest! Then there was Snow White and the Three Bears and Little Red. 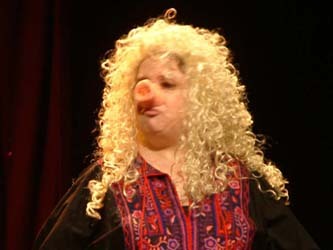 The final panto in December 2004 was a slightly reworked version of Babe. After 'The Season of Holly and Ivy' another traditional CD 'Bygone Christmas' (also deleted) followed in 1994, this time a project for the Bygone Films label and also for Bygone Films a Christmas Video of our mid 1990s show, 'Stuff the Turkey' just before we raised the bar, added scenery and engaged lovely sound and lighting engineer Phil Vickers to tour with us and make us look and sound good. Hey, some people can work miracles! Phil was our not-so-silent-partner-in-crime ever after and helped enormously with all our stage presentation..
By this time we were also including some of Brian's own songs culminating in the show-changing CD 'Paper Angels' which included (apart from the title track which you can hear here) Mike Harding's 'Christmas Eve 1914' (always a show-stopper) and silly as well as serious seasonal songs. 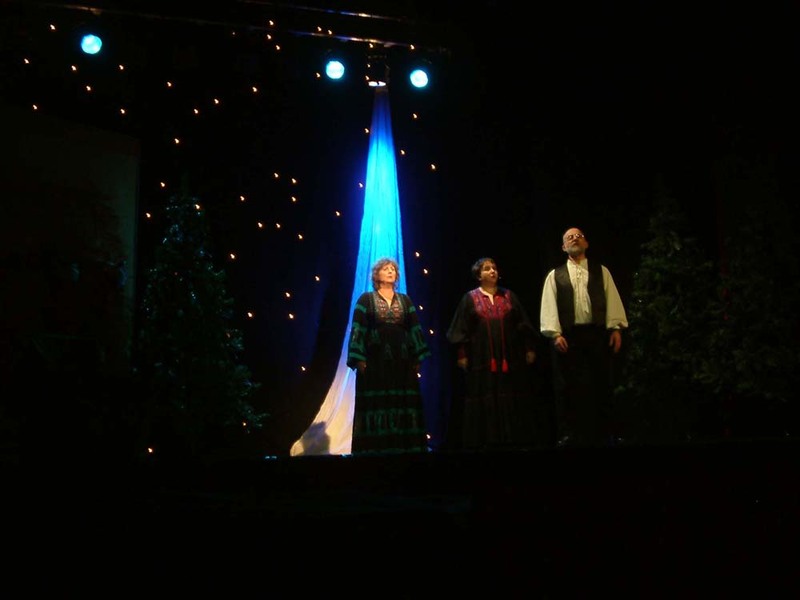 In 2002 we decided we should reissue the traditional carols and wassails that had been included on The Season of Holly and Ivy and Bygone Christmas, as people still asked for those CDs. Since for various different technological and copyright reasons we couldn't re-use the originals, we re-recorded our favourites and brought them out on a compilation album Christmas is Come In. All the albums are still available and can be ordered from our albums page or just phone (UK) 01484 606230 with your visa or mastercard and tell us what you want. 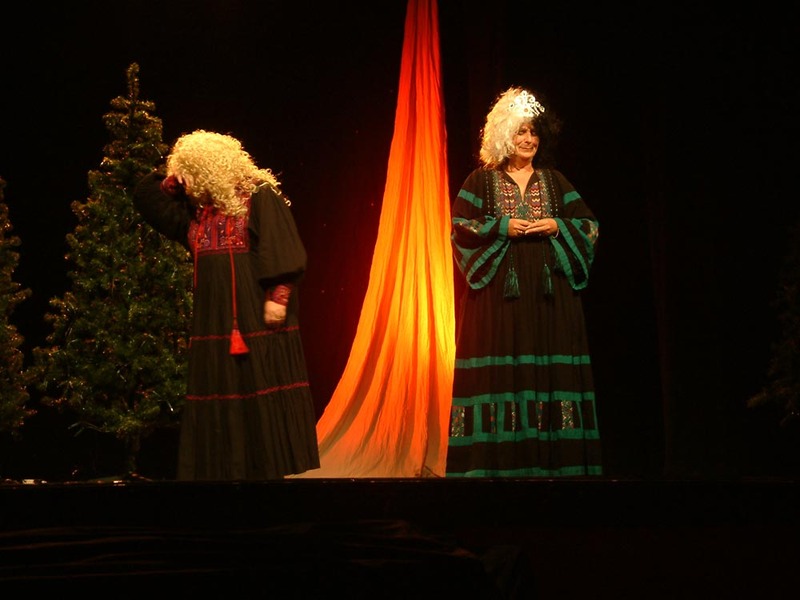 We used to play between twenty and twenty-eight shows from late November through to 23rd December each year. The formula was always 'start on the first full weekend after daughter's birthday on 23rd November.' In our busiest ever year we did 28 shows in 27 days (including 2 matinees and one night off). 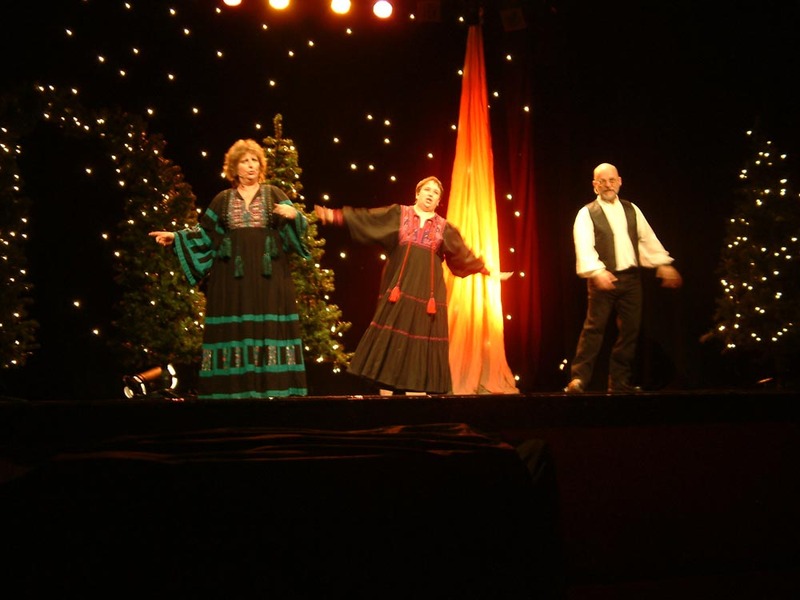 Venues for the Christmas Show included The World-Famous City Varieties Music Hall in Leeds; the Georgian Theatre Royal in Richmond; Penistone Paramount (our home venue); Huntingdon Hall in Worcester; Bloxwich Library Theatre; Billericay Arts; the Kirkgate Centre in Cockermouth; the Old Meeting House in Helmsley; the Mick Jagger Centre in Dartford, Leighton Buzzard Library Theatre; Ridware Theatre; Stamford Arts Centre; the National Centre for Early Music in York and many more plus village hall touring schemes the length and breadth of the country. 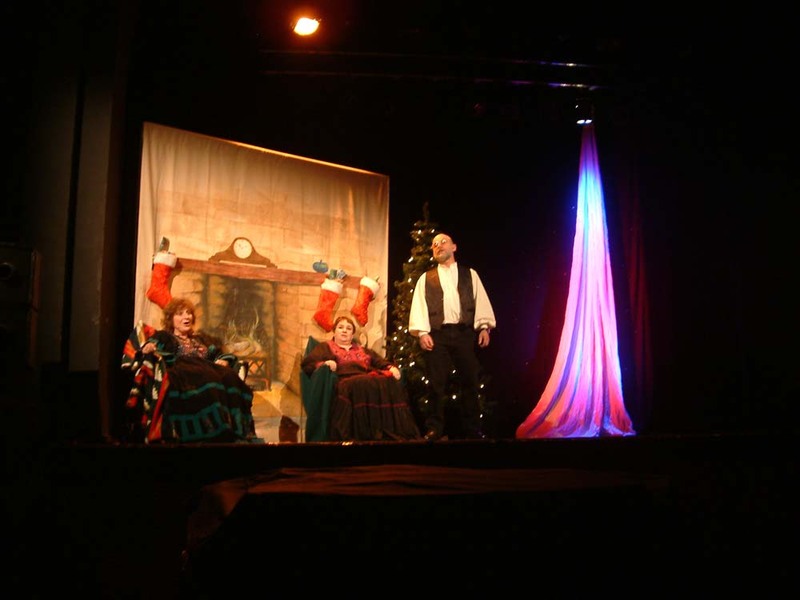 We even took the show to Canada and the USA one year, though cramming scenery on to a plane was no fun and thoughh most Canadians totally got it, the Americans were rather confused by the pantomime element and we had to explain that no there really were no sexual undertones with the principle boy being a female and the dame being a man. It was just supposed to be innocently funny! And the original idea of the principle boy being a woman in the early days of Victorian panto was that it gave theatres a legitimate excuse to have a woman on stage showing a great deal of leg. (Of course we didn't do the leg thing. No one was willing to volunteer, not even Brian!). 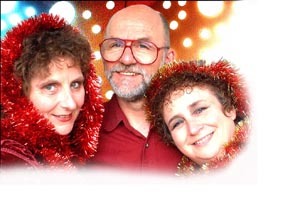 Artisan have recorded eleven albums together and have appeared on numerous compilations. Their whole album history and mail order is on the Albums page of this site.